Working on a local copy of a creative project may be your default. If your central storage and network can’t support the data rates you need for multiple streams of high resolution video, it may be your only option. That process of transferring files from shared storage to your desktop (and back again), is not only slow, it’s also extremely inefficient. To work at speed, you need the editor, FX artist, audio, colourist and titles to collaborate and work as a team. Sharing a set of project files is not a problem with today’s video editing solutions and programmes like Davinci Resolve Studio have collaboration features built in. Problem solved, you may think. Not so! Enter the data bottleneck and stuttering 4K timelines. As we’ve moved from HD to 4K, we need at least 4x more data again per frame. As a result, even for short clips, file sizes are now measured in Gigabytes rather than Megabytes. Demand for larger, faster and safer drive volumes for editing have created the need to move even large Solid-State Drives (SSD) into a RAID or Redundant Array of Independent Disks. RAID 0 is lightning fast but the risk of lost data (and time) is too high. RAID 1 is a much safer mirror but performance can be poor. RAID 5 offered us more speed and the safety net of one drive failure. While RAID 6 gave us a safety net of two drives. 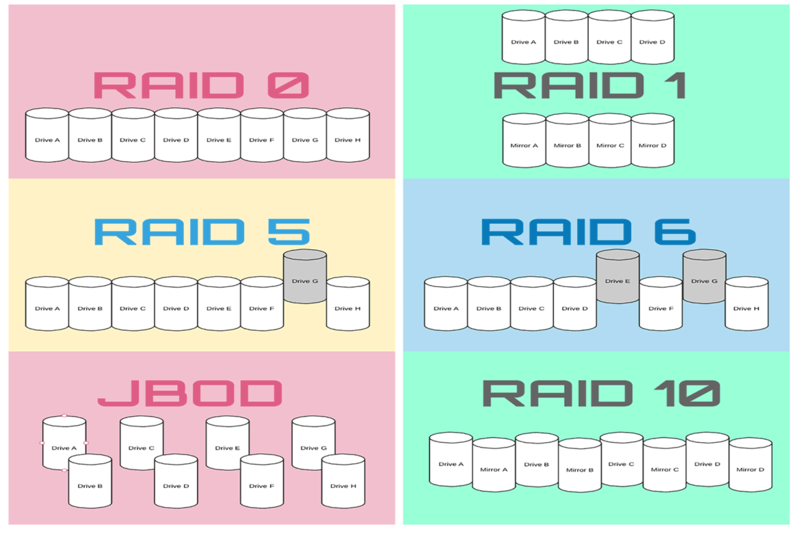 To confuse things more RAID 10 was the hybrid baby of 1 and 0. Even the place where these physical drives were mounted has changed. They first moved from the edit computer’s main drive to a second internal media drive. 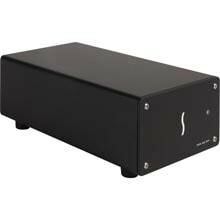 Then to an internal RAID and eventually to external Direct Attached Storage (DAS) boxes like Sonnet Technologies DX-800. This relieved the data bottleneck for single user HD edits but still the dream of multiple user access remained that, just a dream. Large organisations could afford large and fast Storage Area Networks (SAN) based on token sharing for file access. Built around large and complex servers and fast but expensive fibre networks, it placed an ongoing burden to in-house IT specialists and was prohibitively expensive. 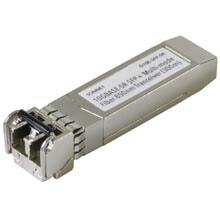 The 10 Gigabit ethernet network was born to meet the needs of massive data server farms and global Internet traffic. 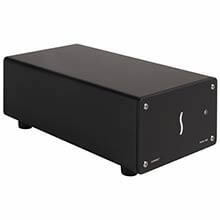 This technology was quickly adopted and repurposed to create the age of affordable small-scale studio LANs and Network Attached Storage (NAS). This NAS idea has been around for a while but the cost and 1 Gb LAN speed is too slow to enable multi-user 4K editing. Manufacturers such as Synology and QNAP are popular in the professional photography studio market with their DAS and Ethernet-based NAS solutions. Great for handling large TIFF or RAW still files locally, they have struggled in high intensity video environments. 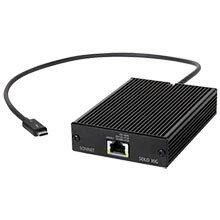 10 Gigabit Ethernet (10 GbE) has unlocked this next step in small studio evolution. With 10G network switches now costing less than £1,000, small studios are now enjoying the benefits of a 10GbE enabled NAS. But there’s a problem: many workstations and laptops do not have 10G connectivity as standard. Connecting freelancers to a fast network can be a big problem. Enter Sonnet Technologies. 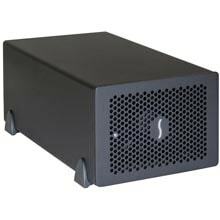 Already widely known for their thunderbolt 3, PCIe and RAID storage solutions. 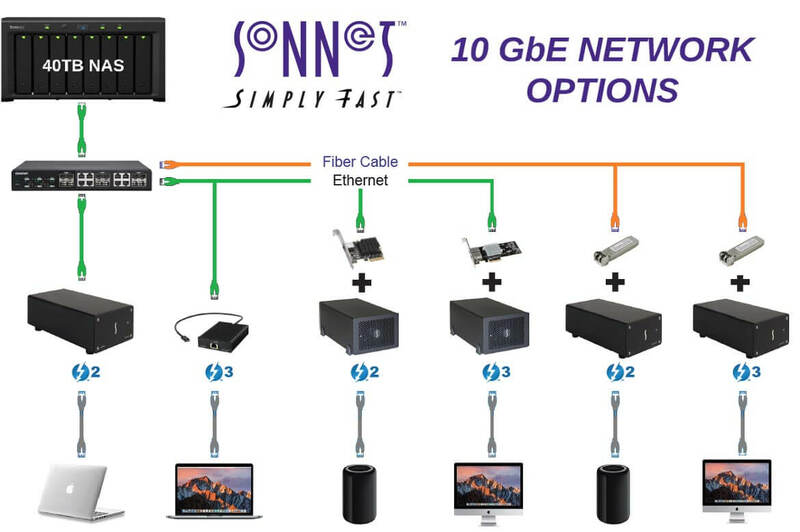 Sonnet’s family of 10GbE adaptors and PCIe cards are widely compatible with Apple, Windows and Linux platforms. Their 10G solutions enable freelance talent to bring their own device to a studio’s 10G network. 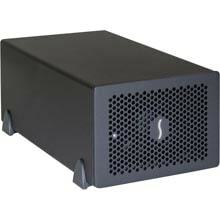 Whether their laptop has Thunderbolt connectivity, or their workstation has the capacity for PCIe expansion, Sonnet has the answer. Use copper or fibre cabling, use a single-purpose Thunderbolt adapter, or employ a multi-slot external Thunderbolt expansion chassis – the choice is yours.